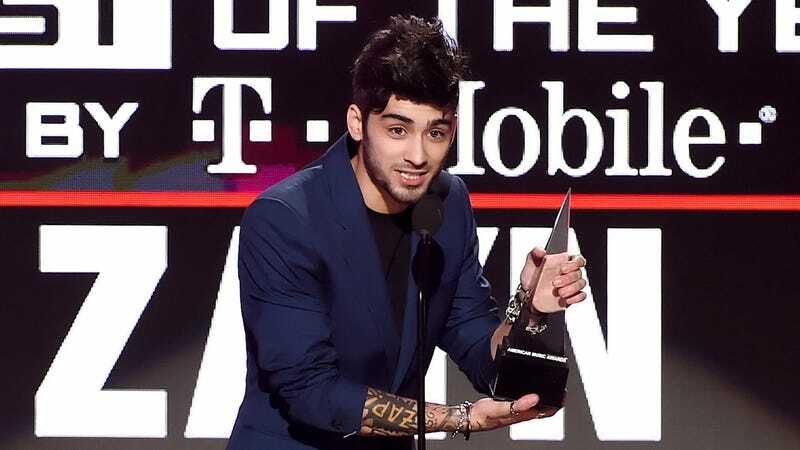 Zayn Malik, the eternally conflicted former singer of the boy band One Direction, remains one of the most painfully boring pop stars of the last million years. Billboard profiled the singer in the magazine’s latest cover story, and it is hard to imagine a less satisfying read. Fans who checked out Zayn’s cover in the Fader two years ago won’t be shocked at his lackluster answers—but if this is your first time hearing Zayn speak, we’ve collected some of his most telling quotes. She likes to cook for me and stuff — when I’m here late, she’ll come down and bring me food. She’s cool. It would have to be a good script and something that was a bit ­different, like an art movie. Something people wouldn’t expect. Riveting thoughts. The interview’s apex is when Zayn—who, Billboard reveals, has been living on a farm on and off since the last year—reveals his love of the simple country life. Zayn’s girlfriend is “cool.” The farm is “cool.” Everything is “cool.” Cool story, Zayn.